"A fairy tale world of pixietail magic!" 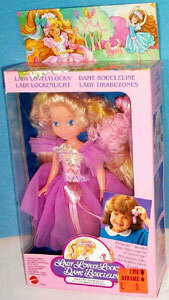 Lady LovelyLocks was produced by Mattel from 1987-89. 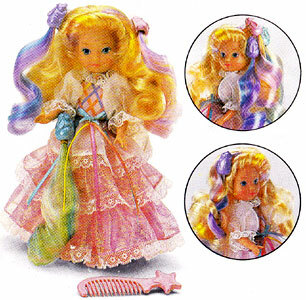 The dolls were 8.5 inches tall, with long, colourful hair and each came with Pixietails - small plastic animals with long silky tails which could be clipped to hair or clothes. 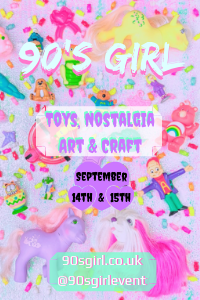 There were also pets, playsets, clothes and a cartoon series as well as lots of releated merchandise. 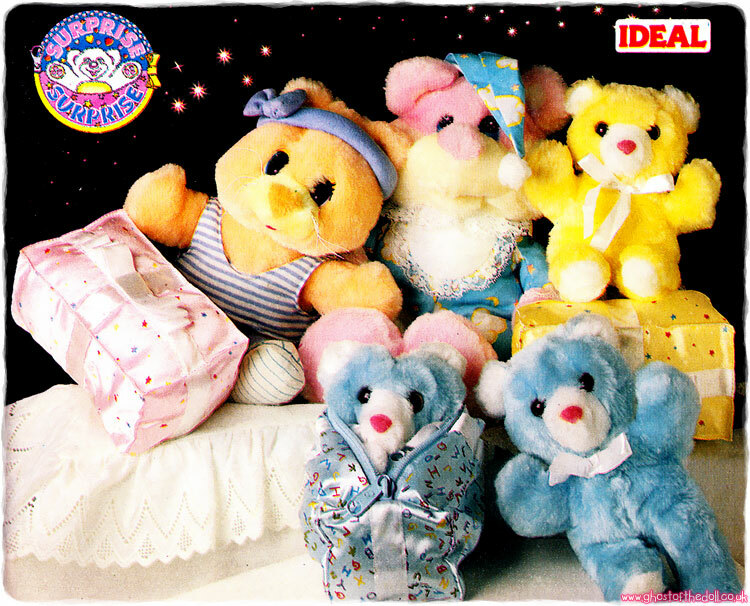 Images on this page thanks to nhtpirate, Old Toys Online and various eBay sellers! 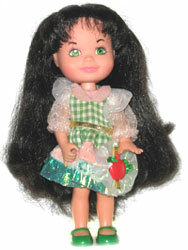 View all Lady LovelyLocks on eBay.com or eBay.co.uk ! 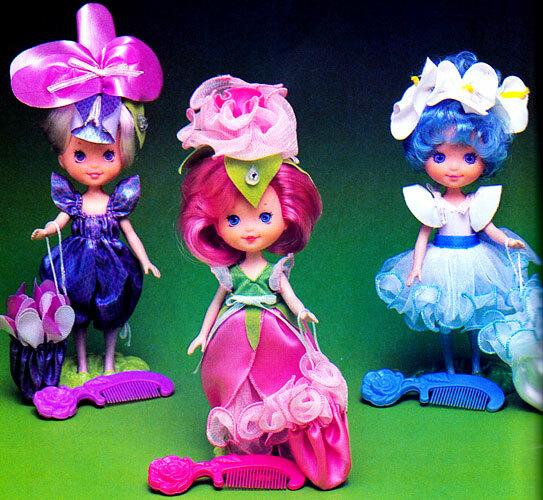 There were five dolls released in the original series. 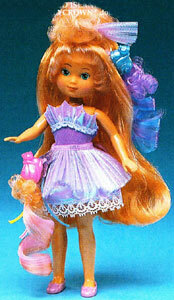 Each one came fully dressed plus a comb and three Pixietail to clip in their hair or on their clothes. 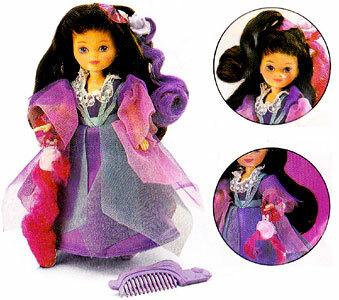 Duchess RavenWaves was the only villain and her version of Pixietails were called Comb Gnomes. 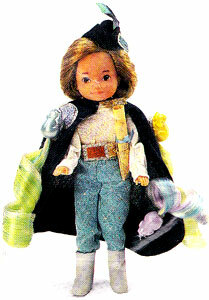 As well as the dolls, there was also fashions, pets and playsets in the original line. "Every fairytale has a princess. 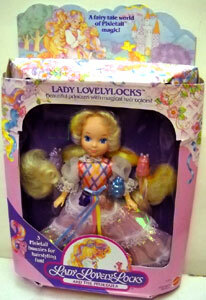 But none quite so beautiful as Lady Lovelylocks. She has magical colour-splashed hair. And she takes special care of all the Pixietails in the land. 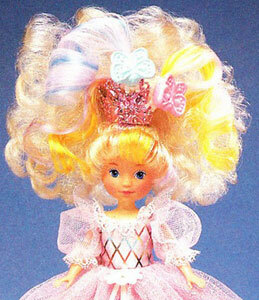 Her dearest friends are Maiden FairHair and Maiden CurlyCrown." 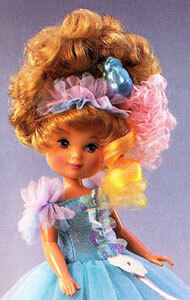 "Discover the jealous ways of Duchess RavenWaves and her mischievous Comb Gnomes . If they had their way, they'd steal the kingdom away from Lady LovelyLocks! But with the help of the Pixietails and the brave and daring Prince StrongHeart, Lady LovelyLocks will protect the kingdom and live beautifully ever after!" 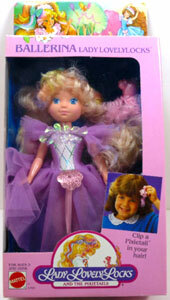 When Prince StrongHeart and Duchess RavenWaves were introduced the packaging changed slightly. 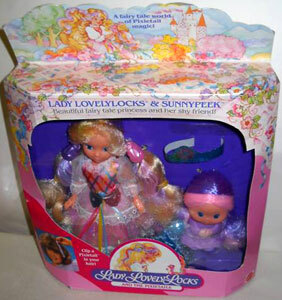 When the Enchanted Island series was released in 1987, the original Lady LovelyLocks doll was sold in a two pack with Hide 'n Peeks "SunnyPeek" using the 2nd release packaging design. 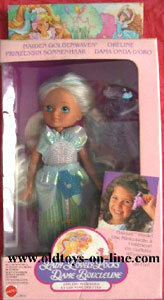 The Euro packaging was the same as the 1st release packaging (except for the language differences). 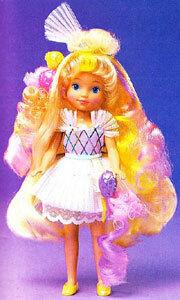 "Lady LovelyLocks, Maiden FairHair and Maiden CurlyCrown dolls have even longer hair and a beautiful new look. 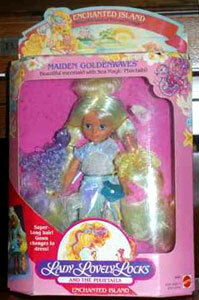 And their new friends, Maiden GoldenCurls and Maiden MistyCurls dolls change into mermaids. Clip a Sea Magic Pixietail to a PixiePetal. 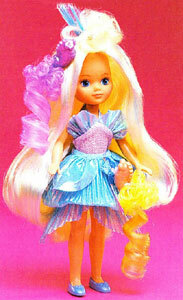 Lady LovelyLocks and her friends each have special flower shaped PixiePetals of their own. Clip a Pixietail to a PixiePetal and look! It's even more beautiful!" 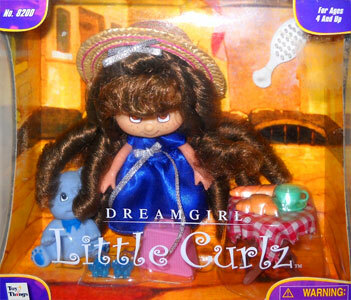 There were five dolls released in the Enchanted Island series, three new versions of characters from the original series and two new characters (both with darker skin). 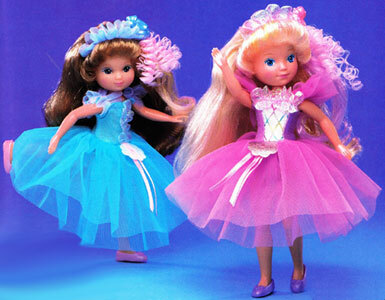 Their dresses could change from one shape to another, either from dress to swimsuit, or dress to mermaid. 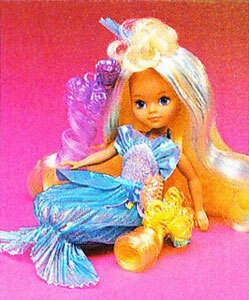 All dolls had long hair and their Pixietails were sea themed. 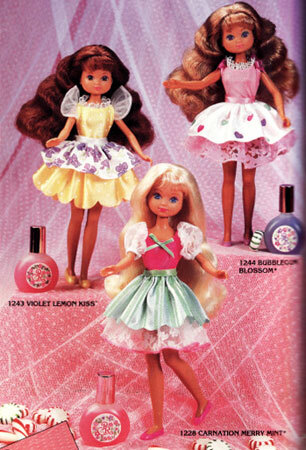 As well as the dolls, there was also fashions, pets and playsets in the Enchanted Island line. 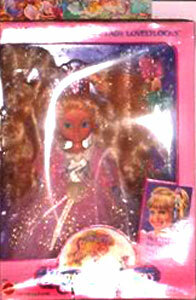 The Euro packaging was the same as the USA/UK packaging (except for the language differences). 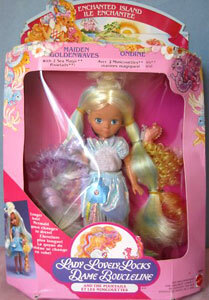 I've also found Maiden GoldenWaves sold in the packaging used for the Ballet dolls too (Euro only). 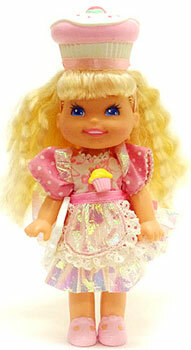 "Shimmershine hair makes Sparkle Pretty Lady LovelyLocks doll the ultimate in hairplay fun! Reach new levels of excitement and fun with Pixietail magic and fairytale adventures. 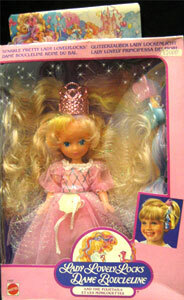 Sparkle Pretty Lady LovelyLocks doll has long blonde hair, a sparkly royal crown and shimmershine streaks in her hair. 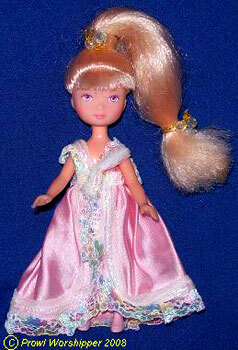 She comes dressed in a pink full ball gown with sparkling lace accents. Royal crown can be worn by the little girl, also! 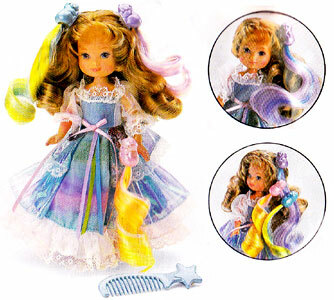 Special butterfly Pixietails with shimmershine hair add to the styling fun. 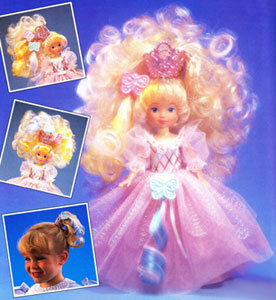 They can be clipped to the doll's hair, and even in the little girl's hair." 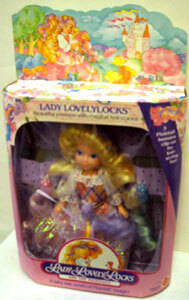 LadyLovely Locks was the only doll in the Sparkle Pretty line, but there was also fashions, pets and a playset. 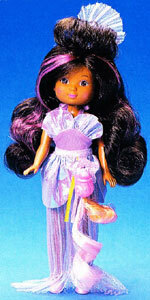 "Ballerina Lady LovelyLocks and Maiden FairHair dolls are beautiful ballet dancers with something special. 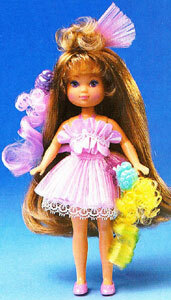 They have the most gorgeous long, silky hair to play with! 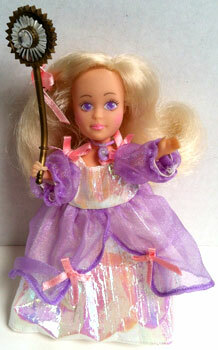 Each doll comes with a romantic lacy ballet gown with glimmery hairband, sparkly sleeves and ballet slippers. 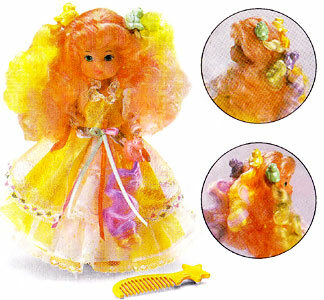 Pixietail and special flower comb are included to be worn in either the doll's or the little girl's hair!" 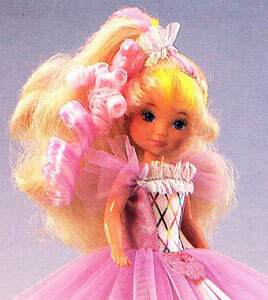 Lady LovelyLocks and Maiden FairHair were produced as Ballerina dolls. 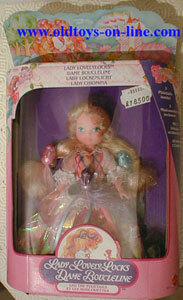 Packaging for the two types of dolls were the same in the USA/UK and Europe (except for the language differences).